MugStock is a new boutique festival of music, performance, food, drink and extraordinary occurrences, set amid the stunning natural surroundings of Mugdock Country Park, just north of Glasgow. I was asked by the festival director to create a colourful art installation for the site. Mugdock park is very near to Strathblane so we thought it would be great to involve the pupils at Strathblane Primary. Inspired by this (spotted in chang mai) and a previous workshop I delivered in the lyceum theatre. 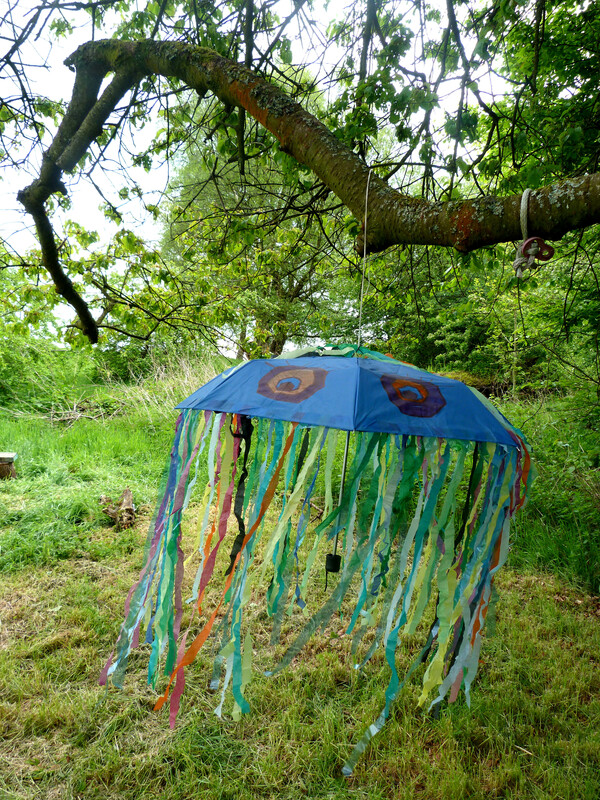 Work with Strathblane Primary to create lots of jellyfish umbrellas (with eyes this time). Tentacles. These umbrellas will be joined together and strung up to create a magical covered space. Great for hiding from sun or rain. 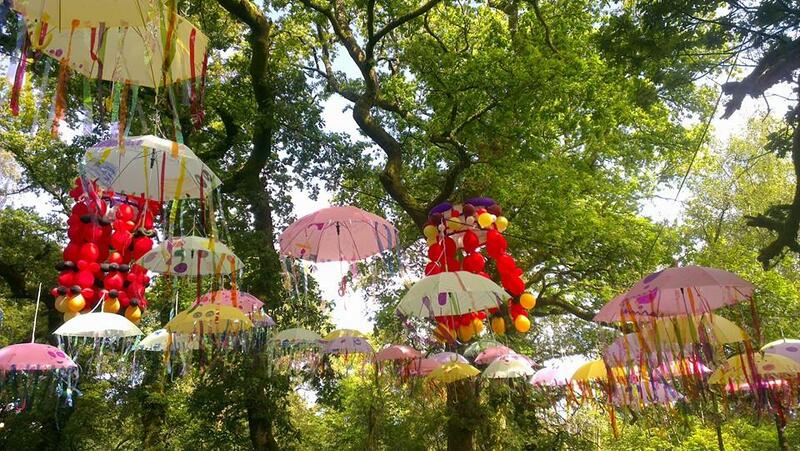 You can view the umbrellyfishes during the festival Friday 7th – Sunday 9th August, MugDock Country Park, Near Glasgow. I led primary 4/5 at Riverbank School through a series of fun visual art activities so they could get involved in the community consultation for the new community hub. We covered themes of community, location, design and functionality. Each piece of this jigsaw represents one person in the community. It shows what is important to them, their families, their interests and hopes for the future. These jigsaw pieces are fitted together to create an overall picture of what is important to Tillydrone community. The children were asked to time travel into the future and imagine the community hub has already been built. •	They have chosen a location for the hub and drawn what they think it should look like. •	They have imagined a day in their life where they use the hub. They have drawn their journey on that day from home to the hub and all their adventures. •	Exclamation marks show areas that they feel need regeneration. We discussed the importance of creating a hub that can be used for lots different functions and by lots of different groups. We designed multifunctional spaces that can transform to suit the needs of all sort of activities. •	Tables that fold down for meetings after a fitness class has used the space. I worked with students from Portland High for 6 weeks. The school offers day support to young people who need special educational provision ( emotional, behavioral, social difficulties). To keep the students engaged, inspired and motivated we worked on a different project each session. We tackled various forms of light art with an encouraging yet stress free approach.